Note: This is an archived page. This section of the site is designed to help you get started with the realistic openBVE train simulator in Windows (XP, Vista, 7) and Ubuntu 10.10, as well as guide you through the installation and first use of the Birmingham Cross-City South route to enable you to start driving. 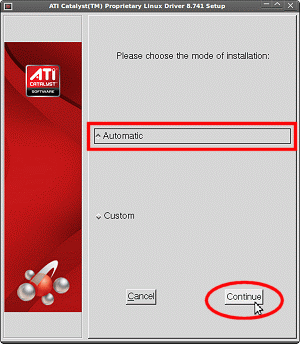 Some parts of this guide are geared towards novice users. 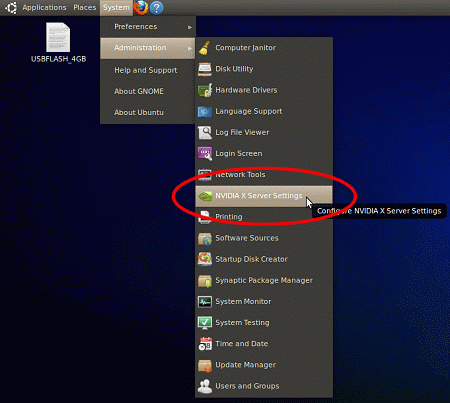 Wubi is an Ubuntu installer for Windows which is officially supported, allowing newcomers to Ubuntu (and Linux) to easily install or remove an Ubuntu Linux installation from within Windows (the Linux operating system itself doesn't run within Windows however! 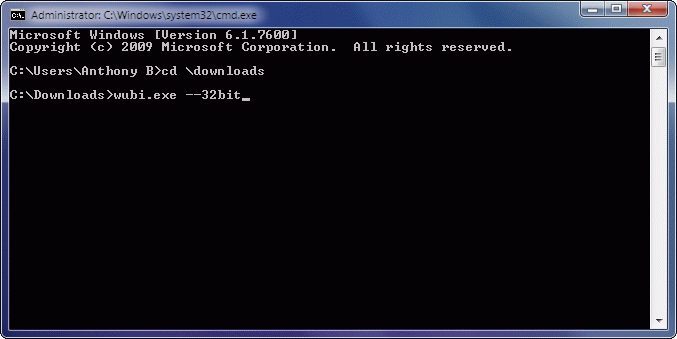 ), and boot into Ubuntu via Windows' own boot menu. 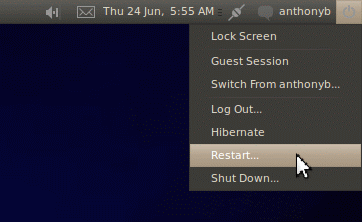 If you're new to Linux, this is a good way to introduce yourself to the operating system without having to worry about partitioning your hard disk, accidentally wiping out your existing Windows installation, or any other problems which could occur during a manual operating system installation or removal process. 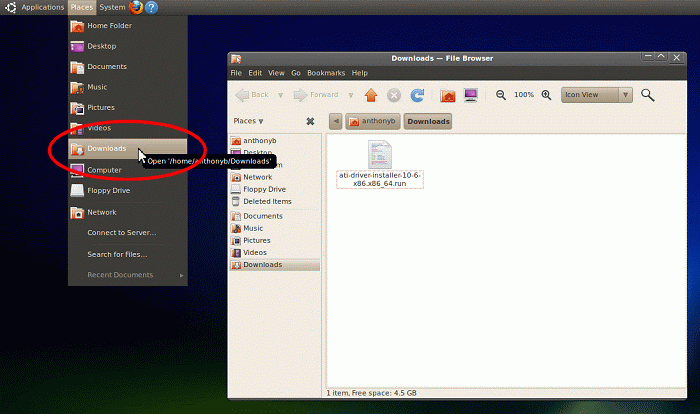 So if you don't have Ubuntu installed already, and want to easily use both Windows and Linux side-by-side on your computer, visit the Wubi Homepage and click the large Download Now button. Save the file 'wubi.exe' to a folder of your choosing; for the purposes of this guide, I'd recommend '<System_Drive>:\Downloads'. 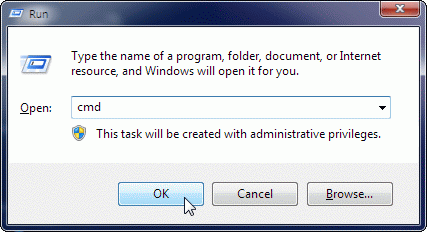 The following steps assume that this is where you've chosen to save the file. 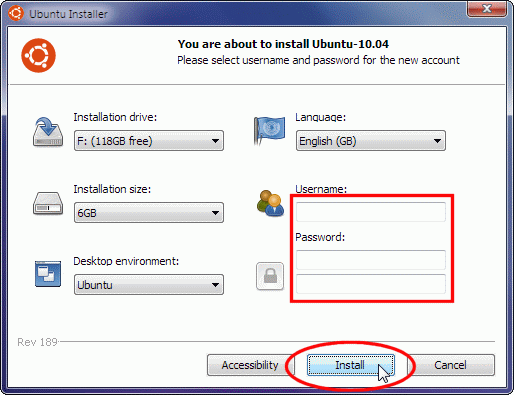 When the Ubuntu Installer appears, leave the default options as they are unless you have a reason to change them, enter a username (your current Windows username will probably be chosen automatically), and enter a password in both boxes provided. 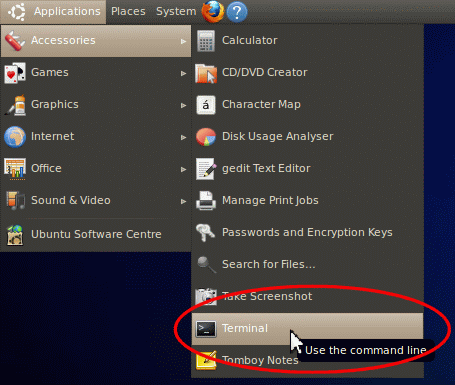 You must remember your username and password, you'll be using these to login to your Ubuntu desktop, and may be prompted for your password when making changes to your operating system while in the Linux environment. 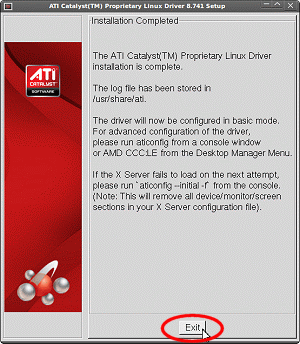 Now let the installer download the Ubuntu ISO (disc image) to your hard disk, which will be around 700MiB in size, let it prepare the installation, and then reboot your computer when prompted. 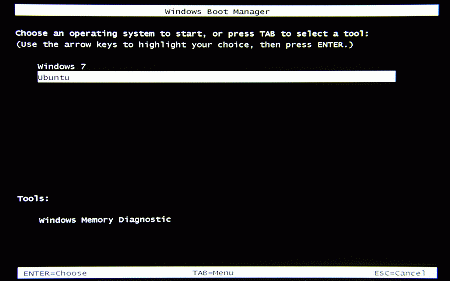 When your computer reboots, you'll see you have a Boot Menu which you may not have had before, if you only had a single Windows installation previously. 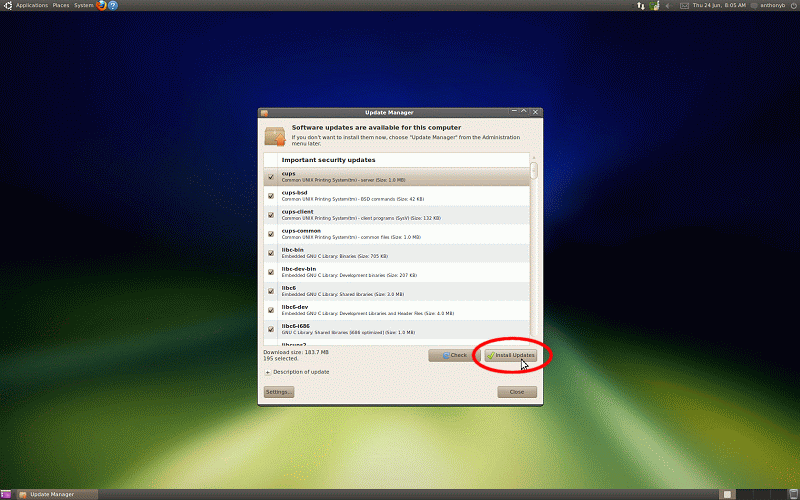 Before the countdown timer expires, select Ubuntu from the list, and hit Enter. 'Press 'ESC' to enter the menu ... x'. Don't press Escape, just let the countdown expire. 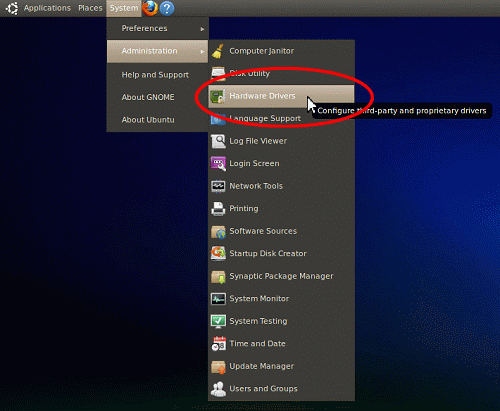 Ubuntu's animated splash screen should then appear, and an automated installation process will be carried out. Just let this run it's course (it shouldn't take too long, possibly just a few minutes if your system is fast enough), and when done your computer will automatically reboot again. When you're presented with your new Boot Menu, select Ubuntu again, and this time you should eventually be presented with a rather nice graphical login screen. Enter the username and password you chose when you ran Wubi, pressing Enter each time. The Update Manager will finish updating your installation shortly. 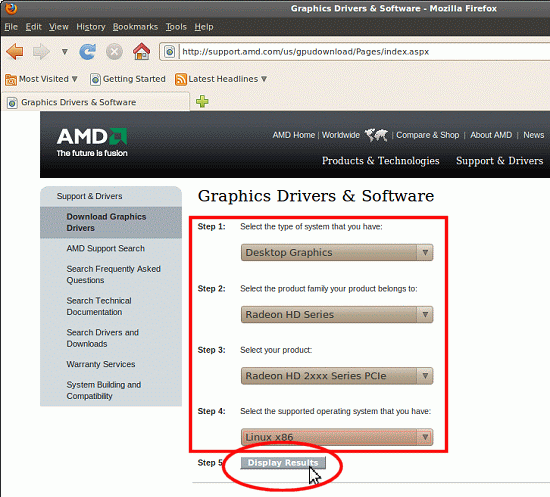 Next, we want to install some graphics drivers which will let you run openBVE with higher framerates. 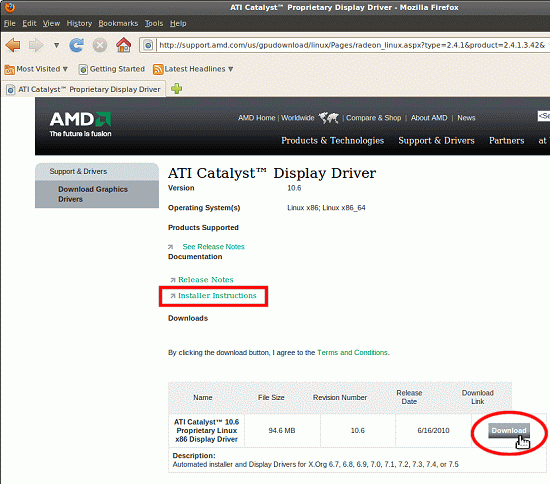 This guide assumes you're using either an ATI Radeon or NVIDIA GeForce graphics card. 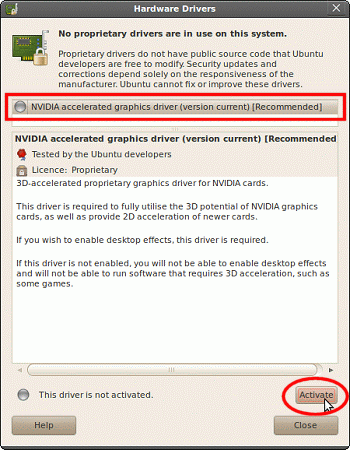 The next time you start Ubuntu, hopefully you'll be successfully using your new graphics driver. Now click OK, to exit the Catalyst Control Centre. 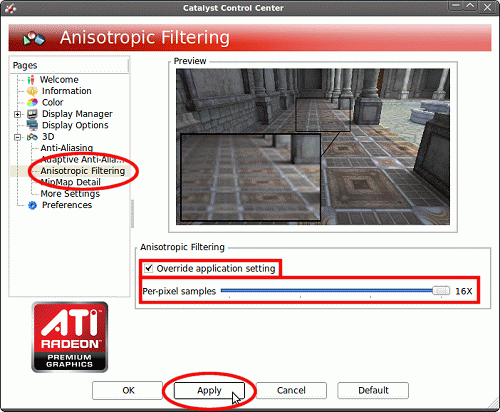 Note: The more powerful your graphics card, the higher these settings can be without the performance penalty being too great--you may wish to experiment with the settings once you've seen how openBVE runs with the selected levels of anti-aliasing and anisotropic filtering. 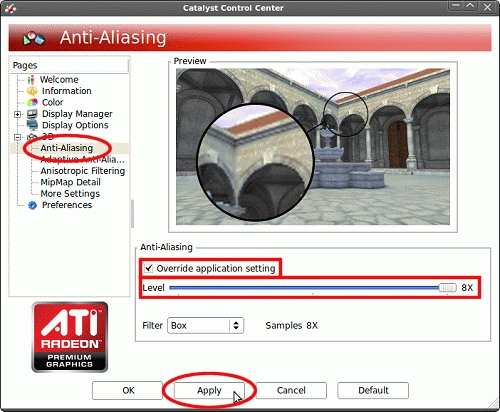 If there is any performance degradation and you find it unacceptable, repeat the above steps and select lower levels of anti-aliasing and anisotropic filtering, and then try openBVE again. You may now be prompted for your password; enter it and continue. 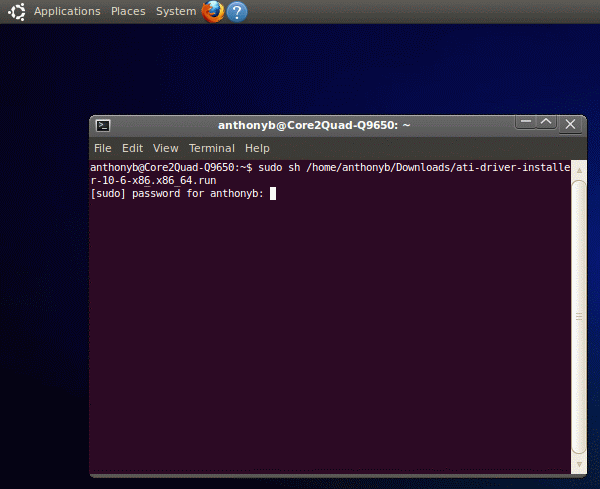 The next time you start Ubuntu, hopefully you'll be successfully using your new driver. You can now return to the openBVE Help Contents page or the Railsimroutes.net homepage.